The standard for the Shetland Sheepdog states that they should measure between 13″ and 16″ at the shoulder. 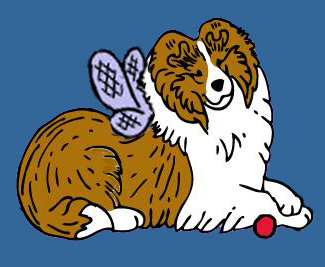 In order to “show” a Sheltie in breed shows, the dog must meet this standard. The average Sheltie weighs approximately 25 pounds. However, most pet Shelties fall into the upper half of this range. Since Shelties were once crossed with the larger Collie to improve the breed, larger Shelties will still be found today as a result. It is not unknown for a Sheltie to approach a small Collie in size. A smaller Sheltie is rarer, but it is not unheard of to have an oversized and an undersized puppy within the same litter. Shelties are not “Miniature Collies“. Thx to rambo99 for the great shot!